CDs may not be the dominant music format that they once were but that doesn’t mean a new release from award-winning CD component maker Denon is any less exciting. Join us as we sit down with their latest product, the DCD800NE. Denon are one of the most famous names on the Hi-Fi scene with a long history dating back to their foundation in 1910 in Japan. Now part of the Denon/Marantz group they’re still turning out award winning Hi-Fi and hope that the new 800 series follows suit. Today we look at the CD player in the series, which also features an amplifier and streamer. 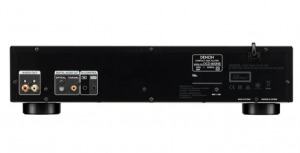 The first thing you notice about the DCD800NE is the classic Denon design language. The saying goes, ‘if it ain’t broke, don’t fix it’ and Denon have certainly stuck to that here. This is a very familiar layout which keeps things nice and clean on the front panel. However, there are traces of the modern touches giving away what hides underneath. One is the crisp white LEDs on the front panel which give it a premium feel, the other is the USB socket tucked away on the bottom left. 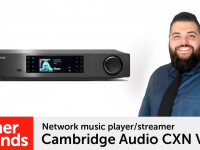 Around the back are a couple of digital outputs – one coax, one toslink, for connecting to a digital amplifier or external DAC (Digital Analogue Converter). There are the more traditional analogue outputs too. The DCD800E certainly brings some digital funk to an analogue party with this range of connections. The Denon isn’t just a pretty face though, packed inside is some serious digital circuitry. Denon has included what it is calling it’s advanced AL32 processing plus. A technology which analyses the waveforms of digital files and uses clever technology to fill in any gaps in order to smooth the analogue wave pattern of the signal. There is also an excellent Burr Brown DAC included along with a Master Clock circuit design for jitter free audio. This technology removes any electrical noise from the signal being passed to the DAC chip to convert to analogue sound. Care has also been paid to minimise the overall signal path so as to give the cleanest possible sound. All in all, this is one smart unit. Using advanced technology to give you as true a recreation of your favourite tracks as possible. 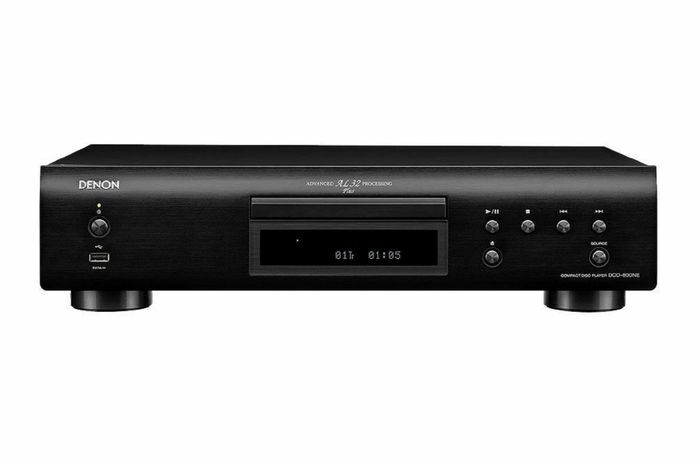 If you’re interested in Hi-Res audio then the DCD800NE has you covered as well. Through that USB input we mentioned earlier on the front, you can playback most audio files from a USB stick. This means you can utilise those impressive internal components with your non CD tracks. The Denon will play file types such as FLAC, WAV and AAC, supporting PCM 24bit/192khz and DSD 5.6mhz. All this makes for an impressive spec sheet and nice facia but how does it actually sound? We sat down with the DCD800NE and it’s matching PMA800NE amplifier to have a listen. We hooked up a pair of Monitor Audio Bronze 2 speakers and set about choosing some tracks. First up, we lined up OK Computer by Radiohead to check the polish and detail of the unit. As we expected it had a bright, clean sound thanks to all that digital filtering. Making sure there is no interference and all you hear is the crisp, painful vocals of the performances on the album. We switched to something more deep with the Frank Carter and the Rattlesnakes album Modern Ruin. This album has a far more guttural feel which could have caught the Denon out. We’re glad to report a satisfying full sound which left us tapping our feet and very satisfied. 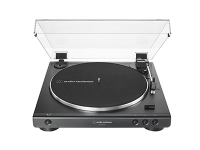 Altogether, this is a deeply impressive CD player which picks out plenty of detail and nuance from tracks you thought you already knew and loved. It feels like someone has taken a layer of dirt off some pieces as you hear additional layers for the first time. The support for Hi-Res audio is also a nice touch, but the main talking point here is the quality of those internal components. They may not do much for you on the page but when you sit down to listen, they are mighty impressive. 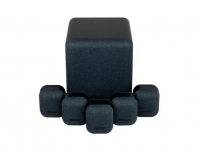 To hear for yourself contact your local Richer Sounds for a demonstration today. Click to find out more about the Denon DCD800NE.